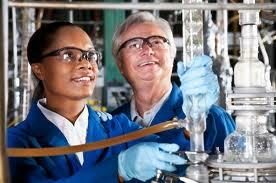 Chemical engineers may have to write a new chemical or aerospace engineer resume from scratch for any job. The simple fact is that your resume must match specific job requirements and deliver high value information to those who read it. Provide a straightforward goal in context with the job application. Check the job criteria carefully and make sure that you cover all requirements in this section. You’ll also need to provide good presentation of your skills, referring to required levels of expertise, specialist skills, and similar high value information. Take your time with this section, because it’s extremely important. This section is sometimes incorrectly considered a mere list of basic qualifications. That’s not the case. In chemistry, specialist skills are often very important. In some cases, like research, unique skills and training are vital. Check job criteria for indications of desired skills and qualifications, too, because your unique credentials can be extremely valuable for the employer. 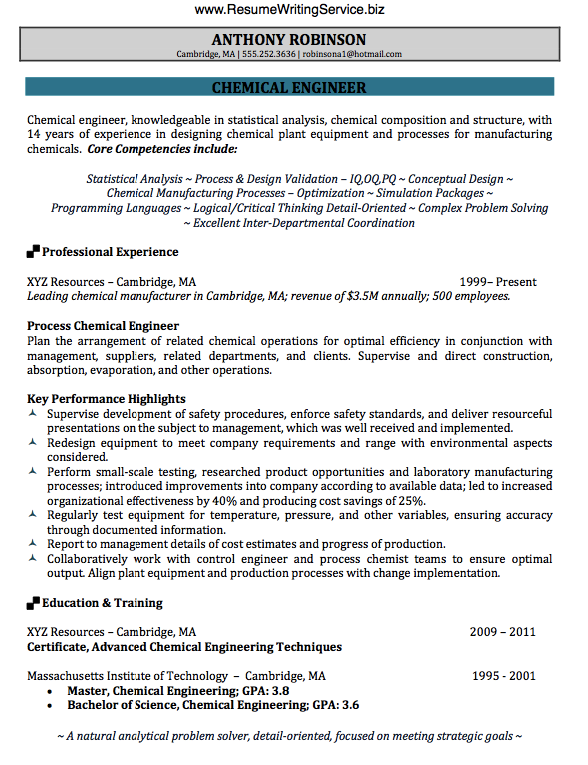 When writing your chemical engineering resume, aim for a top quality professional presentation as a basic standard. You may also need to consider more advanced formatting options, if you have a lot of information to provide on your personal resume. Modern formatting, which is basically “magazine” layout, allows better use of space and can be very useful in terms of good presentation and space management. Check your resume for any substandard materials. Remember your resume is part of a competitive process. Try to polish up and remove substandard information and replace it with higher value materials. Note: Do NOT paste material from other applications, particularly unsuccessful applications. The risk is that you may inadvertently include old or out of date information. Try and target your resume to specific job requirements, rather than a “generic” resume. The Bureau of Labor Statistics provides a range of information for chemical engineers regarding salary, job market projections and career outlook. Use the BLS website to explore trends and new information regarding your profession.